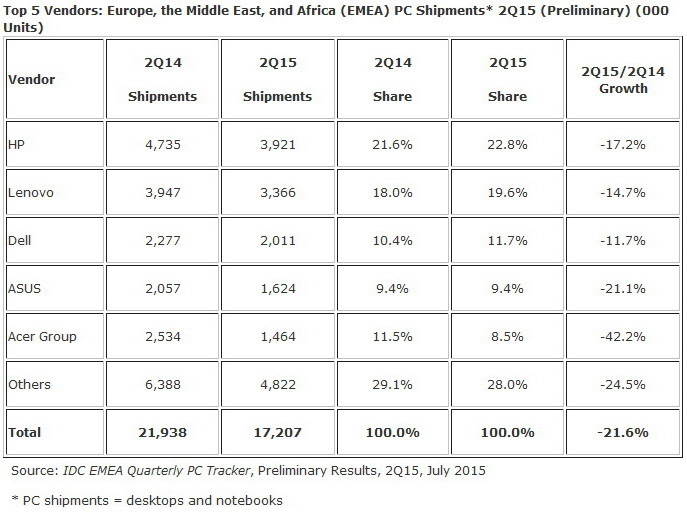 A total of 17.2 million PCs were shipped to EMEA regions for Q2 2015. Gartner recently posted unfavorable sales and shipments for portables during the first half of 2015, and now IDC is seeing something similar for EMEA. In total, PC shipments in these regions as of Q2 2015 have declined by 21.6 percent to just 17.207 million units compared to Q2 2014. The huge drop can be attributed to the generally poor performance of the current worldwide PC market, though IDC analysts are also pointing fingers at overvalued stocks, exchange rate fluctuations, weakening Euro, and low demand from customers. 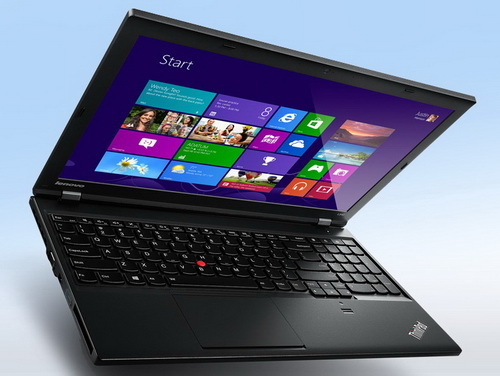 In Western Europe, for example, sales of both desktops and laptops have fallen by 19.3 percent. Central and Eastern European (CEE) countries have also experienced a large 24.3 percent drop during the same period, while Middle Eastern and African countries saw an even larger 25.7 percent drop. Poor PC sales are having a direct impact on the world's top manufacturers. Compared to the same period in 2014, Acer PC shipments in EMEA have fallen by 42.2 percent this past quarter to just 1.464 million units. Market share for the Taiwanese manufacturer has also tightened from 9.4 percent to 8.5 percent. Asus experienced a hit in shipments as well by 21.1 percent. Other top manufacturers like Dell saw its collective desktop and notebook shipments decline by 11.7 percent. Both HP and Lenovo reported similar declines of 4.735 million to 3.921 million units and 3.947 million to 3.366 million units, respectively.